Vinyl Wars M1GO Biollante Standard Vinyl! PRE-ORDER for $129.99! | The Kaiju Fan Marketplace! Vinyl Wars M1GO Biollante Standard Vinyl! PRE-ORDER for $129.99! May 8, 2015 / Jon D. B. Another great choice for a Vinyl Wars Reissue, an Exclusive M1 Biollante vinyl! Only 100 of this special-edition full sized 9″ figure are going to be made! Get in a PRE-ORDER for $129.99 and don’t pay a dime until it’s in stock in August! 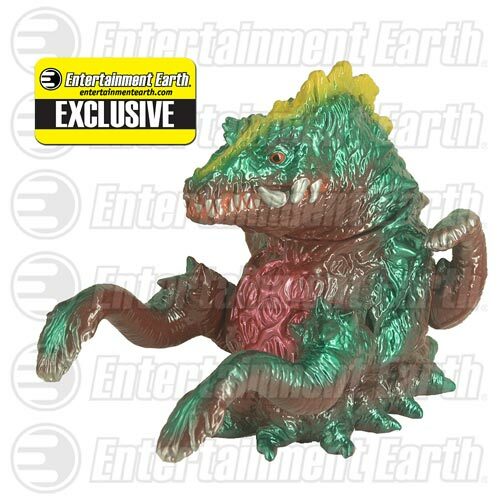 ← Marmit Sleeping Godzilla (Upright) Vinyl Wars Release – PRE-ORDER for ONLY $29.99!